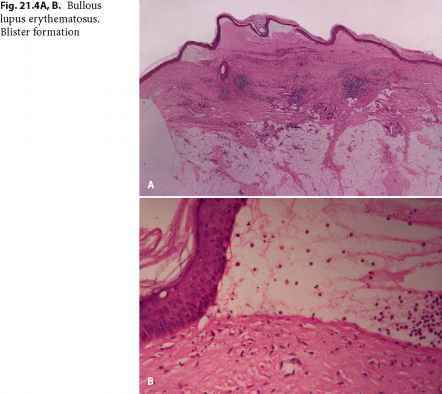 Nail alterations have been detected in patients with SLE. One study detected nail alterations in 42 (31%) of 165 patients with SLE (Urowitz et al. 1978). The most common abnormality is onycholysis. These SLE patients also demonstrated pitting, horizontal and longitudinal ridging, and leukonychia. Atrophy and telangiectasia of the cuticle nail fold were also commonly detected. Diffuse and linear nail dyschromia has been detected in 52% of African American patients with SLE (Vaughn et al. 1990). The pathogenesis of this abnormality is unknown but is not related to disease activity or antimalarial therapy.